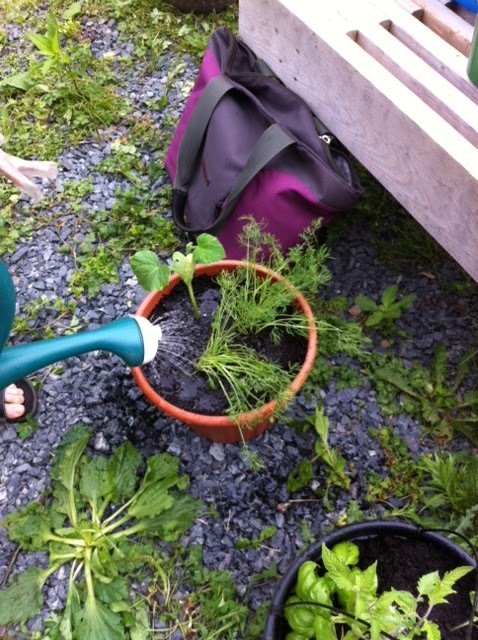 Mindful Echo gets involved in her community garden. There's been a lot on gardening here lately but I think that it just goes with the season! My own gardening experience is limited- primarily because I've never owned adequate space for more than a few houseplants or a small herb garden. This year, I'm working to do a little bit more...but I really did not inherit a green thumb. 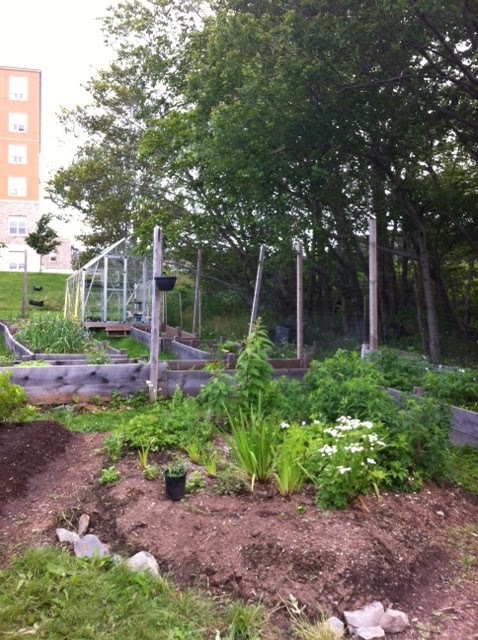 Luckily, there have been plenty of opportunities for me to learn and observe the garden craft this summer. 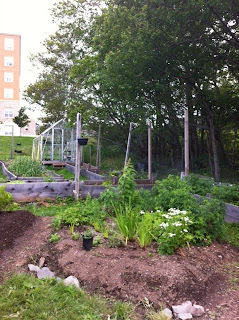 In fact, once such opportunity presented itself yesterday in the form of a workshop hosted by my workplace's community garden. 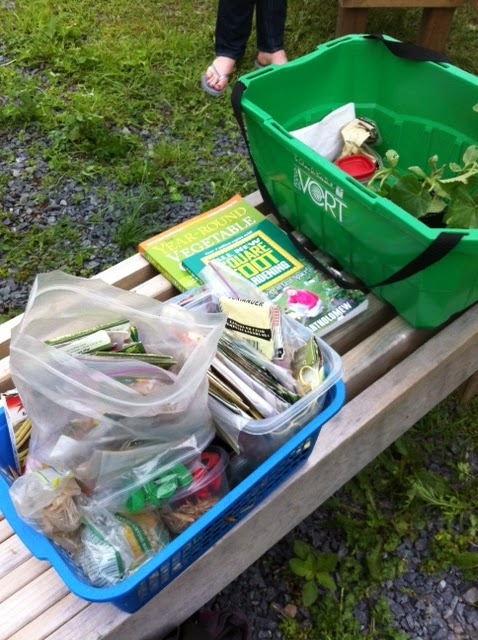 The instructors arrived with all the gardening essentials. 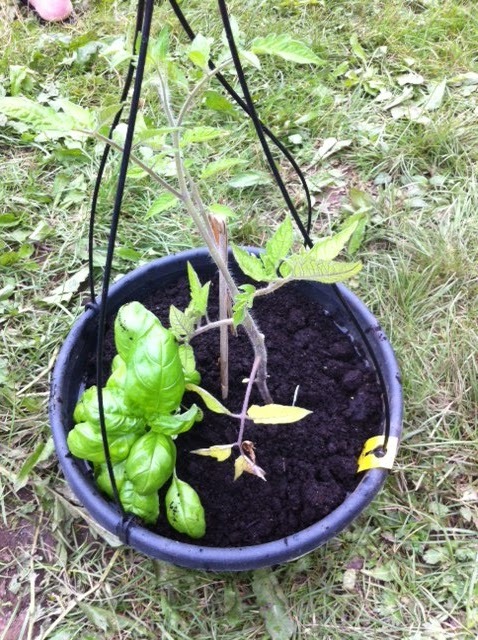 Participants selected between a "Pickle Pot" of cucumbers and dill or a "Pizza Pot" of tomatoes and basil. It was no contest for me; I went with the pizza option and was delighted to select, from a variety of options, a Wentzell heirloom tomato plant. The seeds of the Wentzell heirloom tomato have been culled and grown for generations in Nova Scotia's Annapolis Valley. 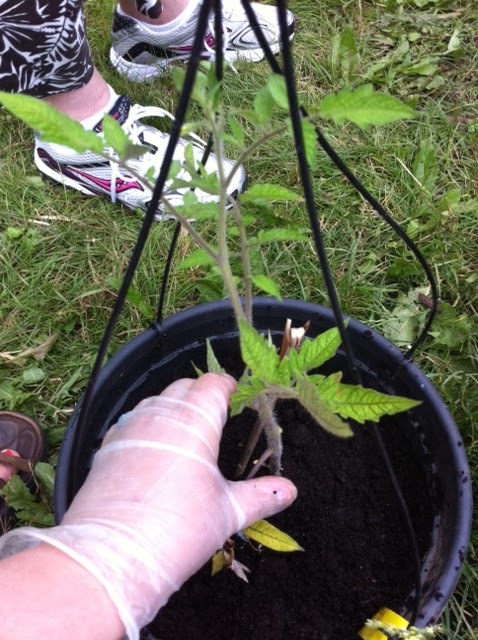 Participants were given some latex gloves before embarking on plant surgery. Pizza Pot ready for home. I brought my finished pot home to hang but I'm considering replanting the tomatoes into something larger so that they really have a chance to thrive. My main challenge is an extremely shady yard so I'm nervous about the sunlight factor. 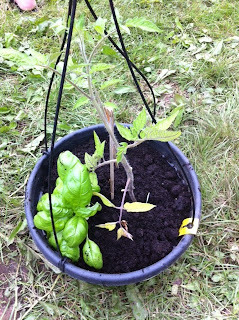 We shall see but fingers crossed for some delicious, juicy tomatoes in a few weeks! This is so exciting! I'm glad your work has a garden. That's awesome! We have tomato plants growing in our window because that's where we have the most sun. I have no idea if they'll produce fruit but it's fun watching them grow. ouuuu! What a fun opportunity in your neighbourhood! i especially love the kits- very neat! 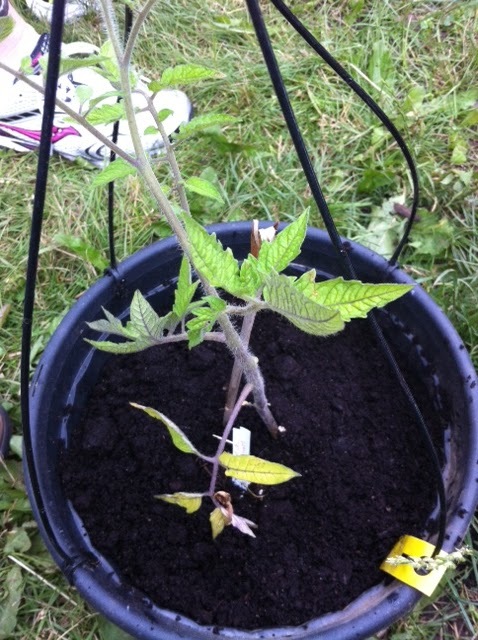 I wish i liked tomatoes, they would be something easy for me to grow! Awesome! I sometimes move my tomato pots around in order to get more light bc the main part of our yard is shaded by a big tree. Hooray! Before you know it you'll be hooked. I love the names, "pickle pot" and "pizza pot".